We’re three-ish weeks from Move-In, so it’s time to start thinking about packing up your Deac’s things and getting ready to make the trek to Winston-Salem! Put the absolute bare minimum you think you can live with for a semester on your bed. Then pack half of it. He was sooooo right. Our new ’22 Deacs may feel like they need all their event t-shirts from high school, but they are not likely to wear them here. And while they need some pictures of friends and knick knacks from home to decorate their rooms, all those things will take up space. In addition, your Deacs are going to be collecting new things all through Orientation and during the semester: cups and t-shirts and all sorts of gear. Less really is more. 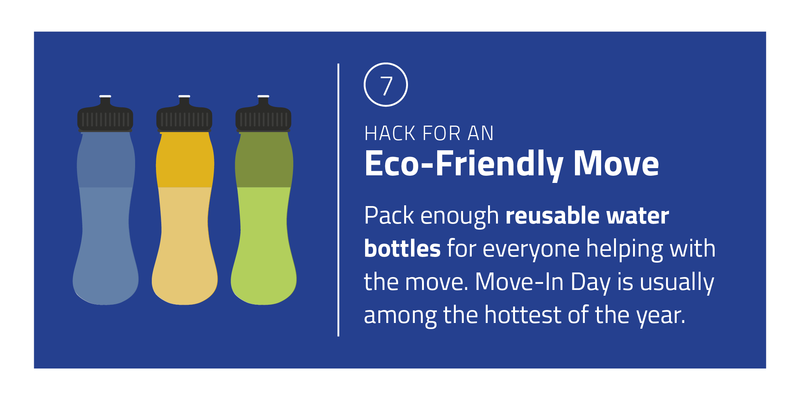 Pack enough reusable water bottles for everyone involved in Move-In. It is usually among the hottest days of the year. 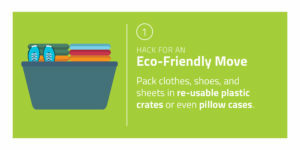 Pack clothes, shoes, and sheets in reusable plastic crates or even pillow cases. 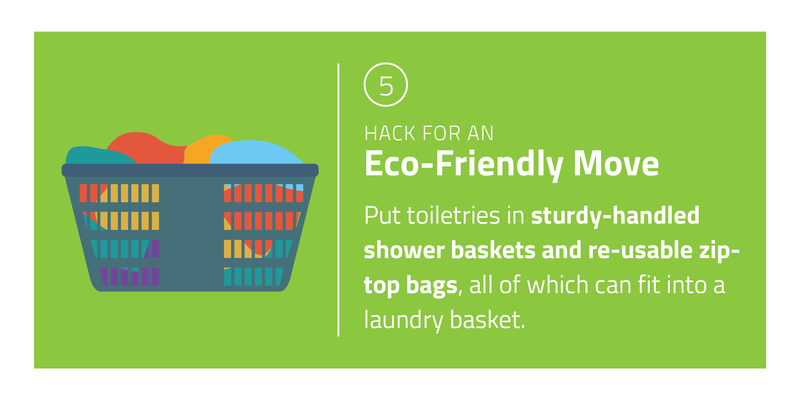 Put toiletries in sturdy-handled shower baskets and resuable zip-top bags, all of which can fit into a laundry basket. 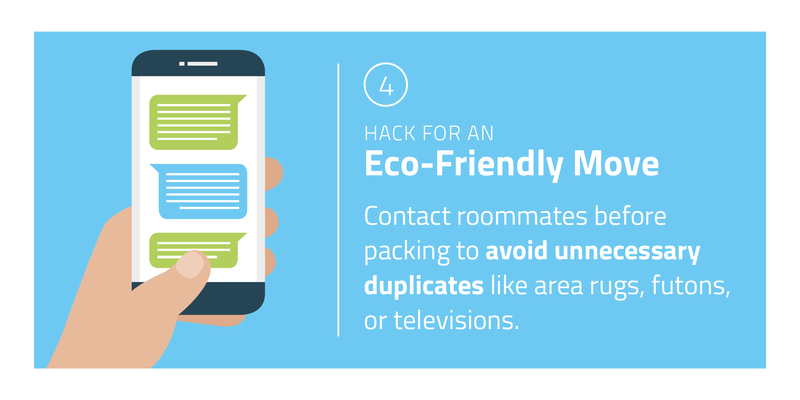 Contact roommates before packing to avoid unnecessary duplication of rugs, televisions, and futons. Wrap picture frames and other breakables in t-shirts and towels. 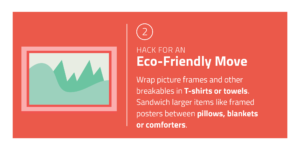 Sandwich larger items like framed posters or pictures between pillows, blankets, or comforters. 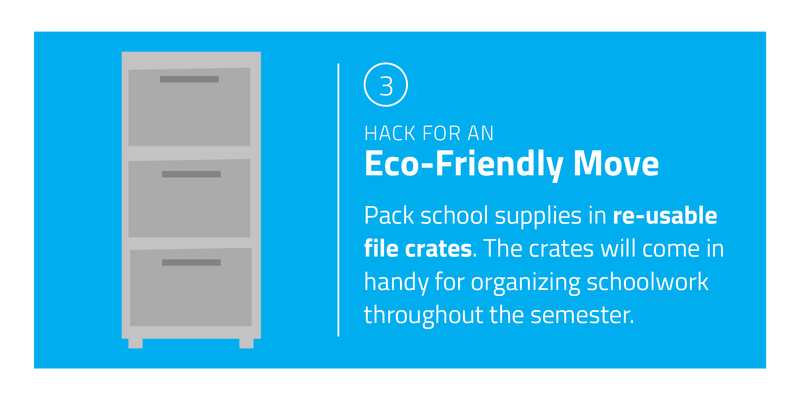 Pack school supplies in reusable file crates. 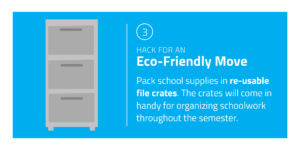 They will come in handy for organizing schoolwork throughout the semester. 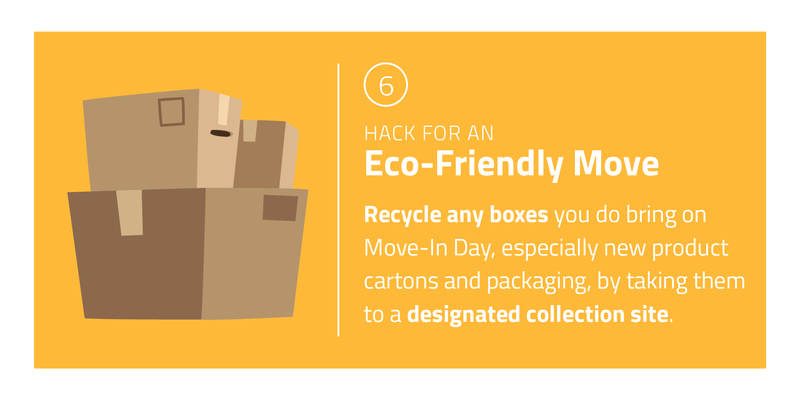 Recycle any boxes, cartons, and new product packaging you bring on Move-In day and take them to a designated recycling site.